When you think about the nature of interruptive, unwanted traditional paid advertising, it’s easy to understand why it’s falling out of favour. Print, outdoor and broadcast paid advertising were considered the most overrated marketing tactic by both Inbound and Outbound marketers in HubSpot’s 2015 State of Inbound Report. But not all paid advertising is inappropriate. If ads (such those on social, online ads and PPC) are targeted well and used in a relevant, helpful way, they can form a strong part of an Inbound Marketing promotional mix, and help to generate quality leads. As segmentation and data-backed targeting have evolved, it’s easier than ever to adjust paid advertising to suit an Inbound marketing approach. 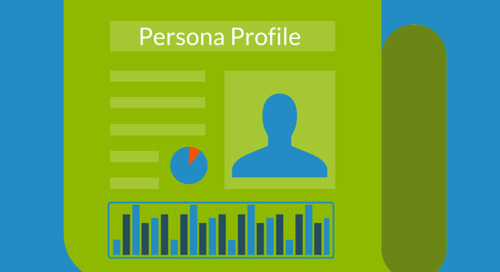 Exact personas and leads can now be targeted and mapped. Ads can be better personalised to consider a unique target’s life cycle stages, preferences, and historical brand interactions. Account based marketing is gaining traction. Remain relevant to personas: All Inbound activity - from web design to content development to email marketing, to ads, must keep target buyer personas in mind at all times. To remain relevant, ads should be placed on the digital environments that target personas actively use, and content should be adjusted to ensure ads remain relevant to the target buyer. Be consistent: What wider marketing campaign are your ads part of? The best ads are planned and consistent with a wider marketing campaign, and structured as a related content type at the Inbound planning stage. This helps to align the focus of ads, ensuring that ad content and messaging will not only resonate with the right audience, but remain consistent with the landing page or the linked offer. Consider the Buyer’s Journey: All content in an Inbound campaign is mapped to address a buyer’s particular challenges at a certain stage in their purchasing journey. Buyer’s at the Awareness stage will be looking for very different messaging than buyers at the Decision or purchase stage. Good B2B paid promotion typically maps to Awareness and Consideration stages, for example promoting a gated content offer (eBook, guide etc.) that solves a relevant persona challenge. So which channels should you use as part of Inbound paid ads promotion? The channels you select should reflect the digital environments where your buyers are active, and reflect any historical results you’ve experienced. Each paid channel has unique requirements that you should review and adhere to. But here are a select few considerations that you should take into account in order to achieve ad conversion. Keep messaging persona consistent. Intelligent ad platforms (like LinkedIn, Facebook, Twitter, AdWords etc) allow a good granular level of targeting, for example you may be able to filter by job title, location, company, interests, skills dependent on platform. Be sure to use this to target your personas as closely as possible. Have mobile in mind. Think about how frequently mobile devices are used today - it’s a key channel to consider. When designing ads, think about how copy and imagery appears differently on mobile, remember that mobile ads can often be optimised by location, and make sure your landing page is also mobile optimised. Match to your landing page. Ensuring your landing page is mobile optimised is not the only consideration. The landing page your ad links to must, above all, be consistent. It must match clearly in design, messaging and content offer, to the ad your prospect has clicked on. If people click your ad, but don’t find a page or offer consistent to that ad, conversion will plummet and bounce rate will skyrocket. Regularly test and review. Regular review and testing is key to paid ad success. In most cases, it’s advised that you create multiple variations of an ad (adjusting the messaging of the copy and design) then review to optimise for success. Having multiple ad variations and regularly adjusting the design is also key to reduce ad fatigue. Set your budget. Budget requirements will vary from platform to platform. Prioritise the channels that perform best for your business and that your personas use. Typically on most platforms, it’s best to begin with a low test budget (though bid based platforms may require higher funding) and experiment to get ad variations right. Use conversion pixels. If someone has has already converted on your site, you don’t want to keep retargeting them with the same old ad - and they don’t want to see it! Conversion pixels can help you avoid wasting marketing budget and irritating prospects by helping you make changes, or stop messaging. Link with your CRM. Some platforms (such as Twitter lead generation cards) can integrate with your CRM or marketing automation platform. If possible, this can be a good, timesaving automation move. Remember; as long as ads remain relevant and appropriate to your target audience, they can be a constructive part of Inbound campaigns. So whichever ad channels you choose, keep unique personas in mind, and regularly test and review to ensure you are delivering appropriate value. Author Bio: Alex Embling is Director of Strategic Internet Consulting, a London-based Inbound marketing agency with a raft of major public and private sector clients. Alex helps businesses large and small generate qualified leads via Inbound marketing and sales, social media and open source web development. He tweets at @StrategicIntC. Compelling title should catch the reader’s eye, get a click-through to the article, cause the reader to engage or take action, and improve your Google rankings. How to fit all of this into one title?